The Service is not supposed to be an ultimate one-click solution one can easily migrate between platforms with. 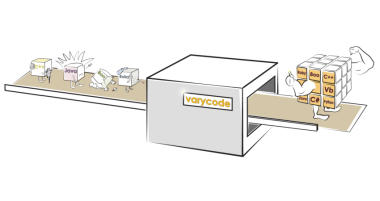 The lion’s share of conversions of nontrivial snippets of code will for certain require some human hand-crafted adjustments. Due to core differences and complexities, some exceptional types of functionality are really hard to simulate and implement anywhere else — various mechanisms ofDLL loading and linking, for example, might become a real challenge in implementing in automatic converters. 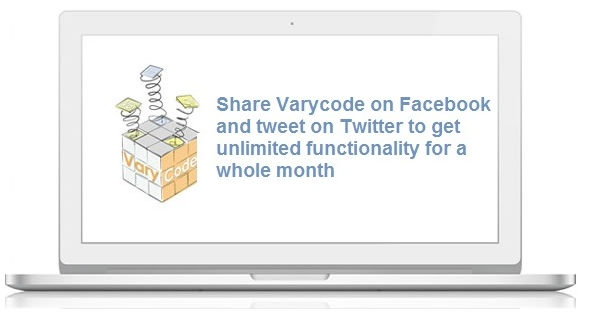 Although some of basic functionality will always be free, VaryCode is offering a month of unlimited functionality for free by sharing the application on Facebook and Twitter.